By Suraya Zainudin in E-Commerce. Updated on March 26, 2019 . The Bitcoin infrastructure has grown significantly, and owning some Bitcoins today can turn out to be pretty useful tomorrow. Owing to this, a number of retailers offer discounts for purchases made with this digital currency. There are even hybrid financial platforms which combine digital and traditional currencies to create essentially global banking accounts. If you’re excited, or even the very least intrigued, by Bitcoin, you’ve probably thought once or twice about dipping your feet into this world. There are a lot of things to be aware of before you take the plunge. 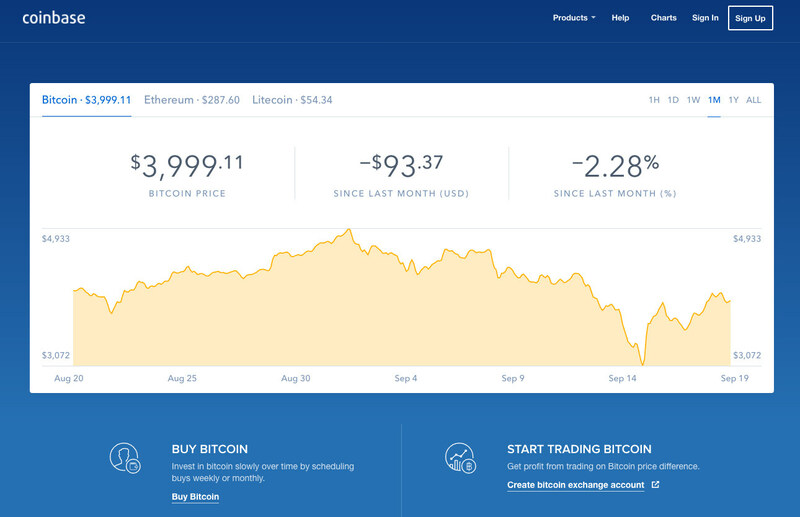 Things like how to secure bitcoin or ways to track bitcoin exchange rates etc. This article answers one of the frequently-asked questions by Bitcoin beginners: how to own Bitcoins? Here are 4 ways. One of the most common way to own Bitcoins is to buy them from Bitcoin exchanges. This is probably the easiest way to own Bitcoins for the average person. 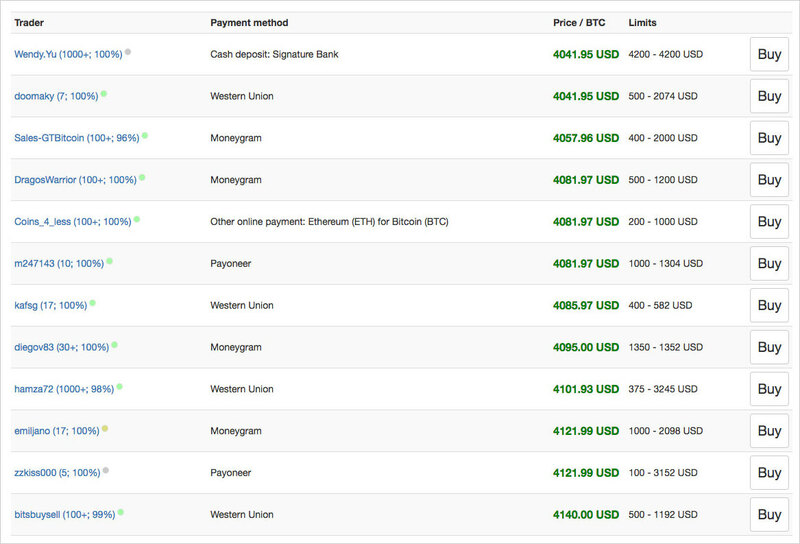 It’s worth pointing out that you can buy fractions of Bitcoins if can’t afford the price of one whole bitcoin. You can purchase $100 worth of bitcoin, or you can also purchase 0.2, 0.005, or other denominations of bitcoin (the smallest denomination is 0.00000001). Buying Bitcoins from exchanges is a straightforward process. Create an account on the exchange of your choice, then follow their instructions. In most cases, you will be directed to fund transfer methods which will exchange your cash currency into Bitcoins. Your newly-bought Bitcoins will be deposited in your account’s bitcoin wallet. Some bitcoin exchanges may also ask for copies of personal documents and even utility bills in order to verify your identity – this is part of KYC/AML regulations (Know Your Customer/Anti-Money Laundering). It’s best to choose an exchange that supports your preferred currency. This is to avoid having to convert your money twice over – remember that each conversion has its own exchange fee, so doing this twice will make you subjected to the fees twice. Therefore, don’t choose a bitcoin exchange provider which only accepts Euro if you are depositing in US Dollars. You can also buy Bitcoins at the bitcoin ATMs, which are available at some locations. According to CoinATMRadar, there are more than 700 bitcoin ATMs spread across 51 countries. There are plenty of bitcoin ATMs in the United States, United Kingdom, and in European countries. If you don’t want to use online bitcoin exchanges and there aren’t any bitcoin ATMs near you, you could try looking on LocalBitcoins to see if there are any individual buyers or sellers based in the same city or country. Exercise caution when conducting an in-person transaction with buyers/sellers. If possible, deal with verified users and insist on meeting them in public places. It’s better to be safe than sorry – just ask this Florida man who was robbed at knifepoint during a bitcoin sale. An alternative to buying Bitcoins directly is to mine Bitcoins yourself. It can be an incredibly expensive endeavour, so you should only consider this path if you are willing to shell out equipment costs and maintenance costs. Furthermore, profits are not guaranteed. Costs and profitability can vary depending on a few factors, however the director of UCL’s Centre for Blockchain Technologies estimates that – as much as $50,000 is expended on electricity per hour by the world’s bitcoin miners. Mining will also eventually be made redundant by the fact that there will only ever be a maximum of 21 million Bitcoins in existence (or to be accurate, 20,999,999.9769 Bitcoins), as dictated by the Bitcoin Network system. According to Blockchain.info, the number of Bitcoins currently in circulation is about 16.57 million (as of September 2017). It should also be noted that bitcoin mining difficulty increases with every successfully mined block, therefore remaining Bitcoins are much harder to mine in comparison to the early days. When mining Bitcoins, extra costs such as electricity have to be taken into account. AntMiner S7, considered one of the best (if not the best) bitcoin mining equipment will yield only 0.9153 bitcoin per month at current difficulty. Bitcoin mining equipment also tends to be hot and noisy. Some miners have factory-style bitcoin mining setup, complete with cooling and improved ventilation. This is important, as there are anecdotal sharing from miners who spoke of equipment catching on fire! Should you decide on bitcoin mining, buy your equipment from verified sellers such as Bitmain, or risk your ordered machines not getting delivered at all. The bitcoin mining hardware marketplace is also rife with scams and undelivered promises; if you’re adamant on buying mining hardware then you will definitely have to research all the available choices thoroughly before making a decision. Cloud mining sounds great in theory. It’s marketed as another way to mine Bitcoins which doesn’t involve buying or running expensive Bitcoin mining hardware. While legitimate cloud mining does exist, most cloud mining services are Ponzi-style businesses that require you to refer as many people as possible. This means that the income does not come from the mining activity but systematically collected from referrals. It is an unsustainable form of investment. Here are characteristics of cloud mining Ponzi schemes – this guide helps you to identify and avoid them, so you don’t lose thousands of dollars like these guys. I suggest avoiding all cloud mining services that appear in this BadBitcoin BadList. If in doubt, avoid this altogether. As bitcoin gets more recognition and wider acceptance worldwide, more people have started to work for it. The types of work vary and tend to be developer/programmer/tech-focused, however there are also freelancers offering graphic design, writing, and other types of skills. Some notable websites for bitcoin jobs include XBTFreelancer, Reddit’s Jobs4Bitcoins page and Coinality. Bitcoin is particularly useful for remote workers as salaries and payments can be sent cross-border easily and at any time. Combined with bitcoin exchanges to sell Bitcoins for local currencies and/or bitcoin debit cards, it is relatively easy to spend the Bitcoins in daily life. If you just want to see what the fuss is about, ideally without having to spend a single cent, then Bitcoin faucets might be of interest. Think of faucets as ad-heavy websites which pay small amounts of satoshis (smallest denomination of bitcoin; equivalent to 0.00000001 bitcoin) when you complete simple tasks. Some faucets act like mini-games, some require you to view ads, while others are simple timers. Don’t get overly excited with the payout, though. You’ll receive hundreds or thousands of Satoshis, but they are the smallest fraction of a bitcoin. Converted, a few hours or days of work will usually generate you a few cents at most. These faucets probably won’t help you buy that cool TV you’ve been eyeing on Overstock, but they’re a good way to get some Bitcoins to play around with, just to see what the fuss is about. Ready to get into the BTC game? The method you choose will almost entirely depend on how much money you’re willing to spend, and how ready you are to commit to the cryptocurrency. 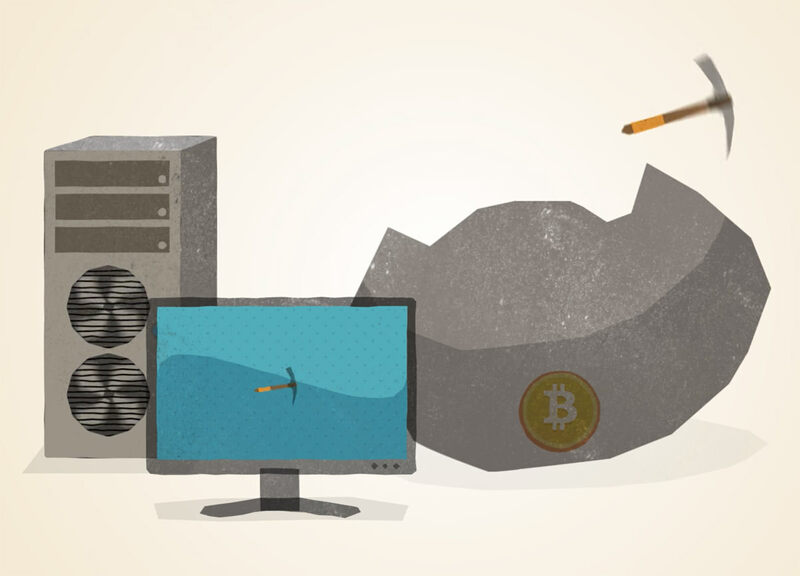 Mining for bitcoin is strictly the reserve of the dedicated, but Bitcoin exchanges and faucets provide a way for almost anyone to get in on the action.